Searching for dependable warehousing, trucking, and logistics in Rosemont, Illinois? Visit JRC for total access and control over your inventory and shipping processes using our comprehensive management system. Our affordable and flexible solutions can provide your business with what it needs to excel, enabling you to easily track products and transactions throughout the entire shipping process. With the help of our wireless warehouse management system, you can keep track of every warehouse process through our warehouse located in the Chicago metropolitan area. This system gives you accurate real-time tracking abilities for inventory, flexible reporting, pallet or carton tracking for LIFO or FIFO products, and online customer order entry. Some people prefer flat rates for Rosemont warehousing. For these customers, we offer shared warehousing options to give them full access to a set square footage of warehouse space in a monthly contract. You’ll have complete control over that available space, with all of the equipment and labor included for assistance with moving in and out. We also offer monthly labor depending on the volume of work. Specialty and oversized products are often a challenge to store, but we keep storage and delivery easy with the right equipment and storage specifications for specialty or oversized items. Short-term Rosemont warehousing and cross docking are also available for our customers. 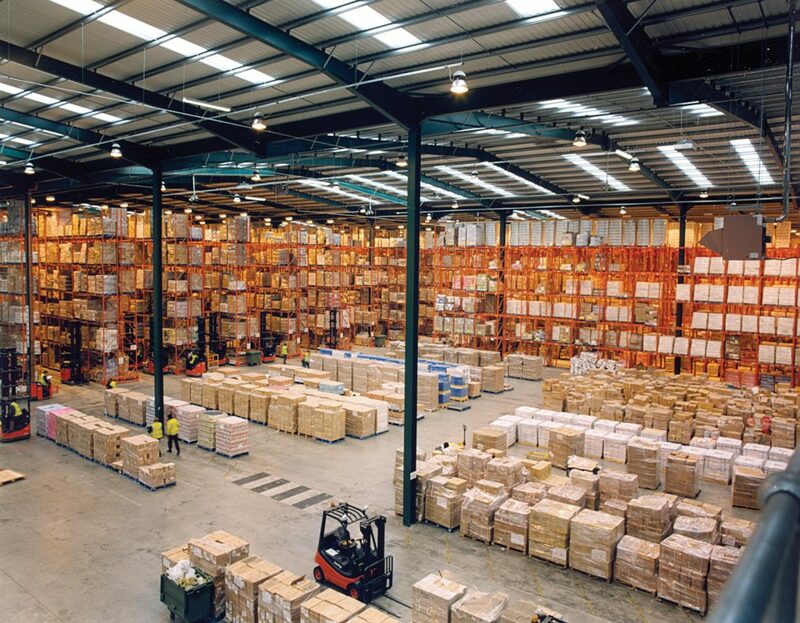 We have the ability to give you everything you need regarding warehousing in Rosemont, accommodating for nearly any type of product and order. We’ll help ensure that your warehousing operations remain consistently efficient, with consistent quality. You won’t need to worry about potential blackouts or other problems coming in the way of your operations, resulting in lost money and business. We have everything that most Rosemont warehousing operations need, helping you take advantage of the most innovative warehousing technology and services available in Illinois. If you’re worried about whether or not your current warehousing operations are efficient enough, we’ll help you see the difference with top-level services that can give you the best results. Need more than warehousing in Rosemont? We also offer dedicated trucking and logistics services to help you manage the rest of your business’s delivery and storage operations. Looking for efficient trucking services for your products? JRC can provide full access to a fleet of trucks that can handle overnight LTL and FTL or even same-day rush deliveries for nearly any type of truckload. We offer plenty of trucking options depending on the type of load, including 53′-102′ trailers. Through our Rosemont trucking services, you can experience reliable deliveries that are always on time throughout the city of Chicago. You can customize shipments based on time, spot quote, cwt, or skid regardless of shipment and volume needs. You can also receive cross docking and seasonal storage using our trucking services. Depending on your company’s specific needs, JRC can provide you with the systems and equipment needed for all transportation and warehousing operations, complete with comprehensive Rosemont managed logistics services. Use our services to generate a complete distribution hub while remaining within your budget at all times. Our logistics services give you access to all rail yards and the port of Chicago, with container services for delivery, devanning, and distribution directly from our warehouse. We can work with both national and international shipments, giving each of our customers a fleet of 9 tractors and a variety of trailers to accomplish same-day LTL and FTL shipments, with full access to our 70,000 square-foot warehouse in Skokie. As a leading third-party logistics (3PL) company, we offer same-day delivery, short-term storage, and inventory control for many types of products through Rosemont managed logistics. Easily track transactions and inventory throughout each step of the delivery process with complete transparency. If you would like a complete Rosemont warehousing solution and others that enable full support for customers through warehousing, trucking, and logistics services, contact JRC.